NYPD detective Lex Cole tracks a missing Brooklyn teen whose bright future is endangered by the ghosts of his unknown father's past, in this highly anticipated sequel to A Map of the Dark. One of the few black kids on his Brighton Beach block, Titus "Crisp" Crespo was raised by his white mother and his Russian grandparents. He has two legacies from his absent father, Mo: his weird name and his brown skin. Crisp has always been the odd kid out, but a fundamentally good kid, with a bright future.But one impulsive decision triggers a horrible domino effect--an arrest, no reason not to accompany his richer, whiter friend Glynnie on a visit to her weed dealer, and a trip onto his father's old home turf where he'll face certain choices he's always strived to avoid.As Detective Lex Cole tries to unravel the clues from Crisp's night out, they both find that what you don't know about your past can still come back to haunt you. It was so nice to see Lex and Elsa back! In book one Elsa was the main character but in Last Night we had the chance to get to see Lex in action more as he was more of the leading character. Though this is a second in a series, it can read as a standalone. Other than Lex and Elsa knowing each other previously, the storyline and characters are completely different. I promise you, you won't get confused or be missing much if you haven't read the first. I love book one, A Map of the Dark. Sadly, this one fell a little short for me. The characters and their development was great and Karen Ellis's writing is really good. She has this style that keeps inviting you back for more. However, I found the plotline to be pretty flat. The synopsis has so much promise, yet I found it didn't really live up to its potential. 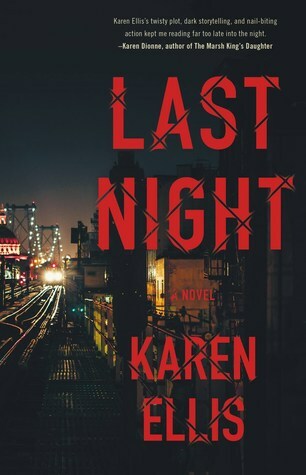 Last Night does an excellent job at addressing the racial divide in New York and has a very powerful message throughout the book. Even though the book didn't really have me flying through the pages like I hoped it would, I am still really eager for the next book in the series! Karen Ellis has an excellent ability at crafting deep characters that can you wanting more! Four walls. One window. No way to escape. Hannah knows there's been a mistake. She didn't need to be institutionalized. What happened to her roommate at her summer program was an accident. As soon as the doctors and judge figure out that she isn't a danger to herself or others, she can go home to start her senior year. In the meantime, she is going to use her persuasive skills to get the staff on her side.Then Lucy arrives. Lucy has her own baggage. And she may be the only person who can get Hannah to confront the dangerous games and secrets that landed her in confinement in the first place. Bookworm confession: I am a cover judger. 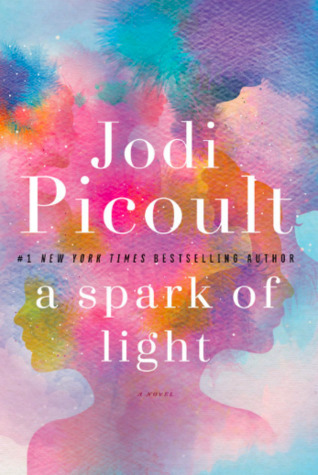 I don't write off books that don't initially pull me in from their cover, but a beautiful cover definitely draws me in and will pique my interest immediately. 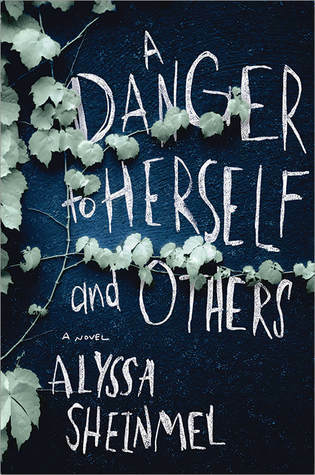 A Danger to Herself and Others has such a stunning and inviting cover. Its simplicity right down to the font gives a great representation of the tone of the novel! 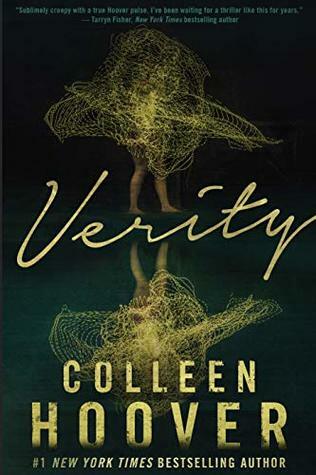 Behind that beautiful cover is the haunting story of Hannah, a seventeen-year-old girl who is being institutionalized following the accident of her best friend and roommate, Agnes, who fell from their dormitory window after a game of Truth or Dare. A desperate Hannah fights to share her side of the story of what happened so she can return back to her regular life. This book definitely has a Gossip girls meets Girl, Interrupted vibe. Hannah's life before entering the institution was very posh. She traveled to luxurious places with her successful parents and was on the road to an Ivy League school. But, once inside the institution while she awaits her hearing, she is just another patient. She has no upper hand and no special privileges. As Hannah adjusts her story begins to unfurl and a whole new story begins. I love that the Young Adult genre is bringing more awareness to Mental Health. Alyssa Sheinmel did a remarkable job at crafting Hannah's character and penning this dramatic novel. There are other patients in the facility and the author represents each with great sensitivity and authenticity. Her writing style brings Hannah's story to life before your eyes. A Danger to Herself and Others is a heartbreaking recount of what happened between the night of Truth and Dare to the present. A beautifully written and shocking reading experience that you'll devour. Imprisoned for over two and a half years, Lale witnesses horrific atrocities and barbarism—but also incredible acts of bravery and compassion. Risking his own life, he uses his privileged position to exchange jewels and money from murdered Jews for food to keep his fellow prisoners alive.One day in July 1942, Lale, prisoner 32407, comforts a trembling young woman waiting in line to have the number 34902 tattooed onto her arm. Her name is Gita, and in that first encounter, Lale vows to somehow survive the camp and marry her.A vivid, harrowing, and ultimately hopeful re-creation of Lale Sokolov's experiences as the man who tattooed the arms of thousands of prisoners with what would become one of the most potent symbols of the Holocaust, The Tattooist of Auschwitz is also a testament to the endurance of love and humanity under the darkest possible conditions. The Tattooist of Auschwitz is the traumatic true story of Lale. A Jewish Slovakian who is transported to the Auschwitz-Birkenau concentration camps. He is given the job as the tattooist that marks the prisoners with their numbers. It is at this camp where Lale lay eyes on Gita, a female prisoner at the camp. The agonizing details described in this book will leave you sick and angry. The horrors that people endeared at the hands of Hitler's reign is nothing short of monstrous and vicious. Despite these heinous acts Lale and the other prisoners find it in themselves to stay hopeful. Despite being ripped from their families, and not knowing the fate of their loved ones, they left themselves open to love and established a family within the barbed wire of the camp. 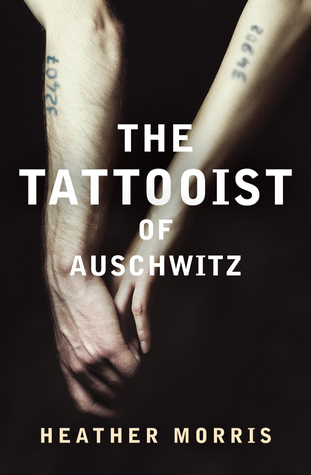 The Tattooist of Auschwitz is a love story, yes, but it goes beyond that. It is the harrowing tale of survival and resilience. It shows that even in the darkest of moments, a vast blackness that is trying to eat you up whole, you can still find beauty. You steal moments to tell jokes, laugh and hope. Lale and Gita stole my heart. Their story is one that will be with me forever. The stories of the other prisoners will stay with me. And the stories of those that did not make it to share those stories themselves will forever be in my heart. Expectedly, this book will stir a lot of emotions out of you. You will cry and my god, you will get angry. But, that will all soften as you watch the relationship between Lale and Gita flourish. Their story is the rose that grew through the cement.